Find out more by clicking the book cover. 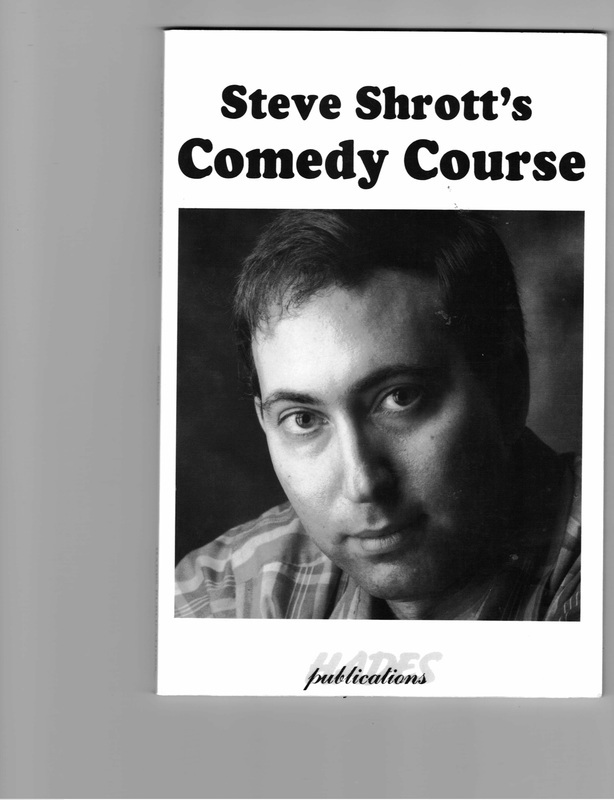 Steve Shrott is an award-winning comedy writer who has been affectionately nick-named, "Writer to the stars." He has written for a vertible "Who's Who" of comedy performers, speakers and entertainers including Joan Rivers, Phyllis Diller and Rodney Dangerfield. Some of his jokes are in The Smithsonian Institute, and he is a winner of the prestigious Robert Benchley award for humor. For many years, he instructed students in the art and craft of humor writing at various schools including The Learning Annex, Ryerson University, George Brown College, Centennial College, The L.A. Comedy School and The Comedy Store. Steve has also taught online for the Romance Writers of America and Savvy Authors. Here's the cover from a new anthology just released from Wildside Press. My story is 'The Writer.' It's a humorous tale about a crime writer who has some issues dealing with...well why don't I just let you read it! My story in the above anthology is entitled, The House. This compilation is a little different than most. It is hard covered, and from the UK. Some of the stories are by current writers, such as myself. But there are also stories by classical authors, including Edgar Allen Poe, Charles Dickens, and Arthur Conan Doyle. It was a pleasure to finally get to work with Artie!! The above magazine has my story, Lucky Man. It's about an eccentric who sells crystals, and other new-age paraphernalia. At the same time, he has a rather dangerous avocation. This anthology has my story, Escape. It's about a man caught up in a struggle with the police--and himself. 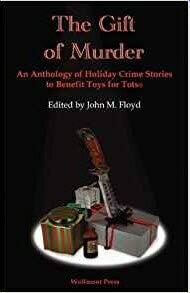 It's a terrific anthology with some fantastic noir stories! The above anthology (#4 in the series. 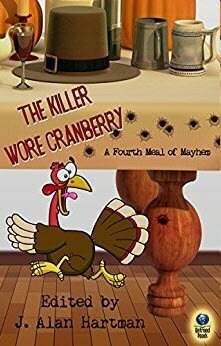 I was also in #2,) features humorous Thanksgiving--mystery stories. I've read them all and they're lots of fun! In this story, Stan, the dentist, gets invited to one of his patient's houses for Thanksgiving. The problem is that the patient is a gangster, who seems to like burying bodies in his backyard. Update--I never did put those Twinkies down, and write a story! Of course I've written many more short stories than the above, and may put up some other covers. But for now, you can see a list of some of the anthologies etc., I've been in, if you click on the home button above. Then click on mystery. Here's another anthology with one of my favorite stories entitled, One Good Turn. It's about an ex con named Elmer who runs into problems when he does a favor. The stories all happen during the Christmas Holidays. All the money from the book benefited Toys for Tots, a great cause! 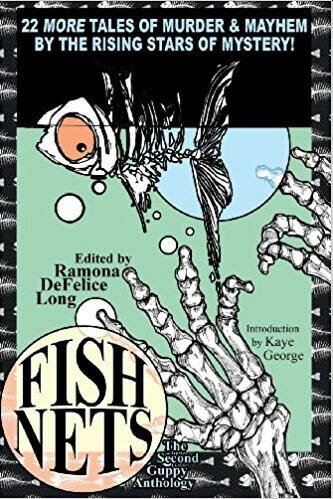 This is the second of the Guppy's anthologies (Fish Out of Water is the fourth) My story is about a woman who differentiates between what's dirty and what's clean leading,of course, to a very disturbing situation. My story, Slippery Slope, is about what happens when an ambitious man doesn't get his promotion. You know, sometimes that can affect people in strange and murderous ways. Perfect Fit is the title of one of my favorite scary Halloween stories. It's about a single father, who with help from an evil shopkeeper, finds just the right costume for his bully son. As you can guess things don't turn out so well! I had a few stories appear in the above magazine. My story in this issue revolves around a man's resume that leads to a murder and more. The title is, of course, Resume. I was thrilled to have my story appear in the prestigious Taj Mahol Review from India. My story concerned a psychiatrist's concern with ethics in dealing with his criminal patient. Steve Shrott is an internationally published award- winning mystery short story writer. Some of his tales are of the humorous variety, others are more hard boiled. They have been published in anthologies, magazines and e-books, both in the U.S., and as far away as India. Some are being used in classrooms to teach children the art of deductive reasoning. Several of his stories ("Clean," "The Job," "Stress, Tourist Town, The Writer") have appeared in Sisters in Crime Publications. In addition to all this writing, Steve is a fun guy at parties. winner in The JA Konrath Short Story Contest, and The Writers’ Society of Jefferson County (California) Annual Short Story Contest. As well, his story, "Good Times," ("The Killer Wore Cranberry; A Second Helping") was inducted into The National Museum of Dentistry. 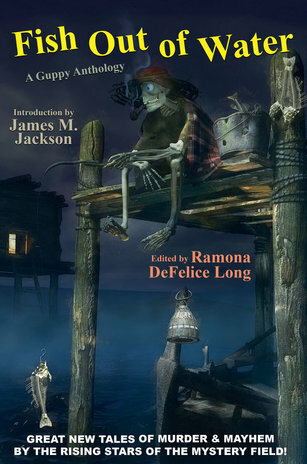 My story, 'The Dark Underground,' is now published in the new anthology, "Fishy Business." You can see a picture of it in the middle column of my website. Each story in this anthology deals with a caper of some kind. My humorous tale involves a library shelver who must enter, what he thinks, is the dark side. I will be teaching my course, Crafting the Mystery Short Story, online at Savvy Authors. Writing short mystery stories is great fun, but it also helps you develop your skills as a writer. In this workshop, there are lectures and assignments, for which I will give you detailed feedback. Each writer has a different specialty in the world of crime fiction-- from cozys to thrillers to traditional mystery, and of course, my favorite, humor. So it promises to be a great night! It's between the hours of 6:30 and eight at the library. For more information call 416-393-7085. Hope to see you there! I will be teaching my course on Crafting the Page Turning Novel at Savvy Authors. In this workshop, you'll discover why some books hook us, and others don't. Most importantly, you'll learn how you can turn your novel into a page-turner! So why don't you join me for the fun! 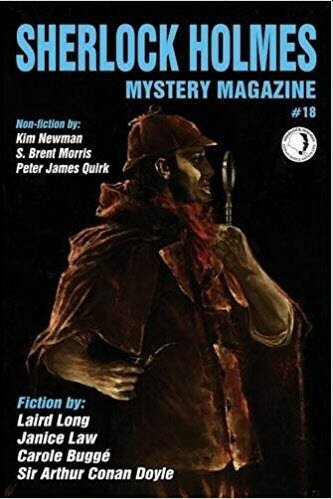 Issue #26 of Sherlock Holmes Mystery Magazine has now been released, with my story, "What would Pacino do?" Toronto Sisters in Crime/and Crime Writers of Canada will be holding their annual Christmas Party. 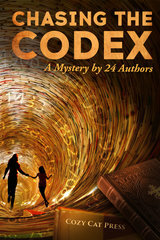 Even if you don't write or even read mystery, we'd love to have you attend. It should be a blast! There will be food, libations, raffles and door prizes. If that's not enough, you'll get the chance to be in the awesome presence of yours truly and other writers and readers of mystery. I will be having some fun teaching my course, Adding Humor to Novels and Short Stories. Just to let you know, it is a workshop so there will be assignments. I will give you detailed feedback on any work you do. In my humble opinion, this is the best way to improve. So, if you've ever wanted to 'humor up' your manuscript or learn how to write it with humor, in the first place, then you should think about taking this course. Why don't you come by and say, hello! I've just been informed that my short story, "What would Pacino do?" 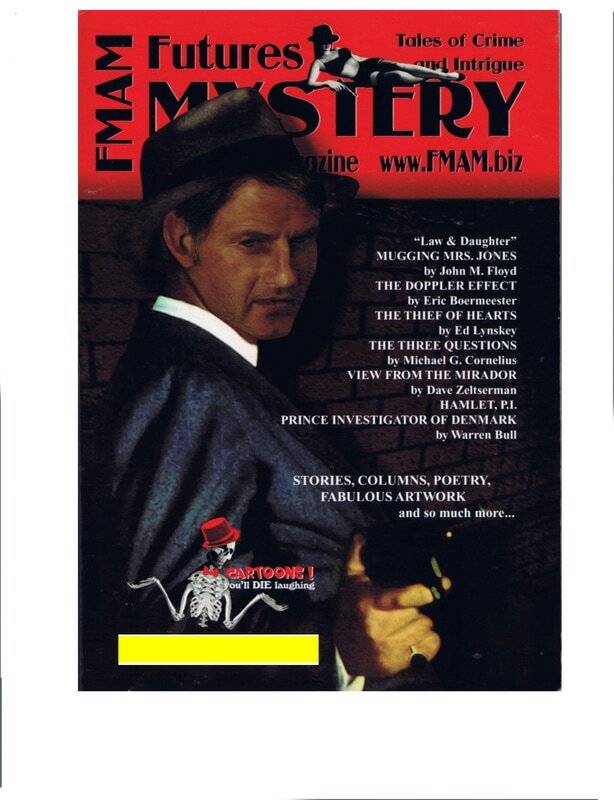 will be appearing in issue number 26 of Sherlock Holmes Mystery Magazine. ​Looking forward to seeing it in print! I will be teaching my workshop on "How to Write SF short stories" at Savvy Authors! What I enjoy about science fiction is that unlike other genres, you can really let your mind go wild. Why don't you join me for the fun! It's over now, but I had a lot of fun teaching my course on thriller writing at Savvy Authors. Rock on thriller writers! "Two of the best stories deal with Killers. One is a killer by profession, and the other by inclination." The reviewer then talks about Debra H. Goldstein's great story, "A Weighty Matter." 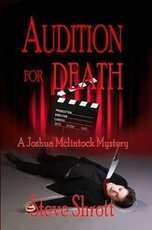 Following that, he says, "Buried Secrets" by Steve Shrott is a black comedy about what happens when a killer gets caught. The last line will bring an uncomfortable smile." 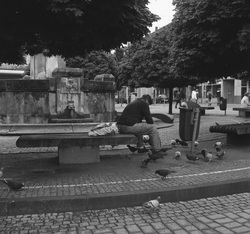 The author of the article also mentions John Hegenberger's lovely story, "The Bad Sleep." I am thrilled to be in the company of Debra and John! 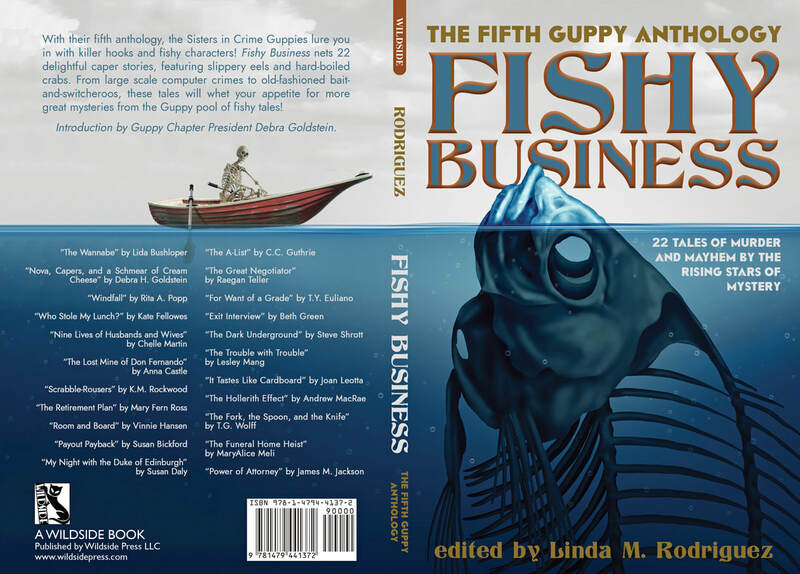 I just heard that my story, The Dark Underground will be appearing in the latest Guppy (Sisters in Crime) Anthology, entitled, "Fishy Business." It should be a fun volume to read as all the stories had to be about crime capers. It will be out later this year! I will be teaching my workshop on how to craft a mystery short story at Savvy Authors. Short story writing is a lot of fun and a great way to get started in writing. As well, it is very helpful if you want to write a novel. Myself, and other authors sometimes take our short stories and turn them into books. Students who have taken this course have told me that it has had a great impact on their writing. Maybe it can do the same for you. Please join me! I will be teaching my workshop on how to write a page turning novel. The workshop is online and takes place at Savvy Authors. You'll discover why we're glued to some books and not others, and how you can turn your novel into a page-turner! So why don't you join me! Over on the left is a picture of the second issue of Black Cat Mystery Magazine. I'm thrilled to have a story in this publication with all these terrific and well-known writers. I'm also thrilled to once again have my name on the cover. 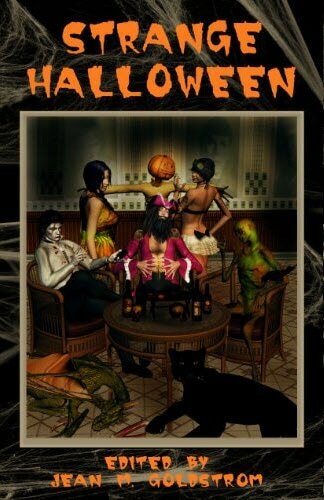 Below Black Cat is the other publication that has my name on the cover, Mystery Weekly. 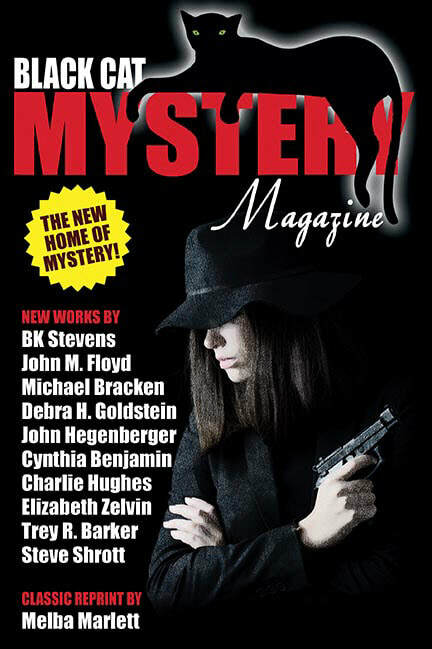 My short story, True Love has been published in the print and ebook magazine, Mystery Weekly. Yeah!! "In his twists and turns romance-gone-bad story, Steve Shrott asks, is it true love or something much more sinister?" One of the most popular and entertaining genres today is the thriller. Wouldn't you like to learn how to write one? I'm looking forward to the Sisters in Crime/Crime Writer's Christmas Party. Great food/drinks and fabulous mystery writers and readers. I just recently sold a story, entitled, 'Buried Secrets' to Black Cat Mystery Magazine. This is a beautifully produced new magazine and I'm looking forward to seeing my story in it. Of course it won't be coming out till next year some time. But here's the website for the magazine. This event takes place at the Sleuth of Baker Street Book Store. 907 Millwood Road. It is going to be a little different than other events. First, there's eight fabulous authors involved. Second we each have eight minutes to do whatever we want--talk about our books, perform magic tricks, do pushups, knit--whatever. As well, Kari, who has won many awards for singing will be sharing her musical gifts with us during our time in the store. I'll be at the Crime Writers of Canada Booth (#213) between the hours of four and five. The festival is located at the Harborfront Center, 235 Queen's Quay West. See you there! Previous students have said that the lectures and exercises not only helped improve the humor in their writing, but also the ability to use humor in their every day lives. Come and join me for the fun! I'm looking forward to being at Bouchercon, --October 12-15 in Toronto. As I understand, it is the largest mystery convention in the world. One of the reasons, I'm looking forward to it is that so many of my mystery writing idols are attending. Another reason is that I'll be on a panel. The panel will discuss one of my favorite subjects, humor! The great part is I'm sharing the dais with some very well-known, and fantastic humorous writers. One, I believe has a movie of their book series in production!! Also, if you see me wandering around looking lost (my natural state,) feel free to say hello, and offer me a snack! I will be teaching, "Craft Your Mystery Short Story," at Savvy Authors. Personally, I think writing short stories is one of the most enjoyable things you can write. Plus short stories are a great training ground for writing novels. So why don't you join me? Each author was asked a different probing question. I will be teaching my workshop entitled, 'Writing the Page Turner,' at Savvy Authors. When I was putting this workshop together, I read over a hundred novels of all different genres to figure out why certain ones were page turners, and others were not. And that's what this course is all about-- sharing with you the secrets and special techniques that will keep readers glued to your novel. So join me on May 8th for "Writing the Page Turner," and I will reveal all. And of course, as in each of my workshops, they'll be lots of exercises that will help you to improve your skills! I will be teaching my online course entitled, 'Adding the Funny to Novels and Short Stories' at Savvy Authors. You may want to write an entirely funny book or just add in some humorous sections to an already serious book. Either way this course will benefit you. Although, I've produced a lot of humorous material, I have also written suspense. So it's not just because of my devilish good looks and sensual blue eyes that I've been chosen to be part of a Sisters in Crime panel entitled, "The Suspense is Killing me!" The other panelists (and terrific writers) include: DJ McIntosh (The Babylon Trilogy), and Jennifer Soosar (Parent Teacher Association). The moderator is wonderful short story author, Lynn Murphy. This event is for writers and readers. We'll discuss the ins and outs of the suspense genre and how we create it in our stories. As well, I'm sure there will be lots of author recommendations. So come and join the fun. If you're not a member it's only $5.00. It all takes place at seven o'clock in room 200 of the Northern District Library, 40 Orchard View Blvd. It's just a block north of the Eglinton Subway on Yonge. Hope everyone is going to have a great New Years!! Of course some people have HORRORble ones!! As you know I'm a writer, but from now on in, please refer to me as Chef! I now have one of my recipes in a new cook book from my publisher, Cozy Cat Press. I've mentioned this before, but writing short stories is a lot of fun!! Now you can have some of that fun as well. I will be teaching a workshop on "How to Craft your Mystery Short Story," online at Savvy Authors. Why don't you join me? 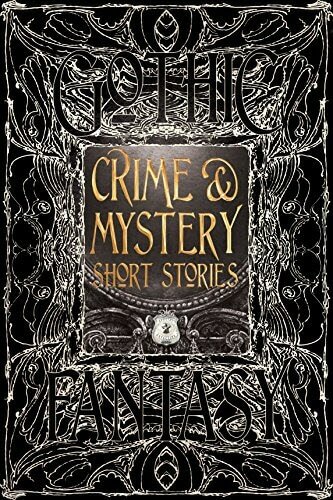 My story, 'The House' has now been published in Flame Tree Press' (hard cover,) UK anthology, entitled, "Gothic Crime and Mystery Short Stories." It's a little different than most anthologies. There are stories by contemporary writers like myself, intermixed with tales by classic authors, such as Arthur Conan Doyle and Edgar Allen Poe. Recently sold my story, 'Alibis' to Over my Dead Body Magazine. The story will probably be up on the site in a week or two. I will be appearing at the Eatonville Library with two other terrific mystery writers--KJ Howe, and Tracy Ward. The ladies and I will talk about our books, and answer any questions you may have about about mystery, writing or anything else. The library is located at 430 Burnhamthorpe Road (between Burnhamthorpe Road and The East Mall.) The fun is between two and four in the afternoon of November 15th. Looking forward to seeing you there!! It's The National Book and Magazine Festival that's held at Harbourfront Center. I'll be at the Crime Writer's of Canada Booth between the hours of 12 and 1 o'clock, as well as between five and six. The booth is #541, located in the Genre Zone. In your program, we're listed under Art's/Writer's Organizations. Hope you come and say hi!! It should be lots of fun. I've just received some exciting news. 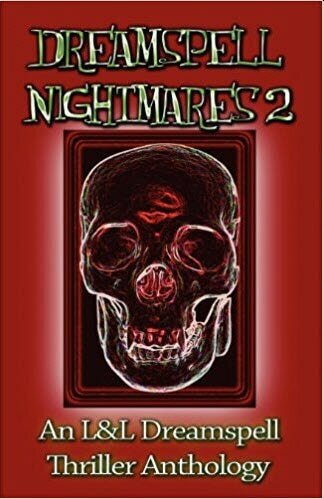 Another of my stories has made it into a mystery anthology. This one is a little different. The book is being produced in the UK and will actually be a high-quality hard cover gift book. It will be just under five hundred pages. There will be stories by contemporary writers like myself, intermixed with stories by classic authors. The proposed release date for the book is August. I'm definitely looking forward to it. I will be teaching my online course on 'How to Add Humor to Short Stories and Novels,' for Savvy Authors. The course is composed of lectures and fun exercises. Also, just been told that my story, The Writer, will be in a Sisters in Crime anthology entitled, Fish out of Water. That won't be out for a while. seemed to really enjoy it. great work making sure everything ran smoothly. 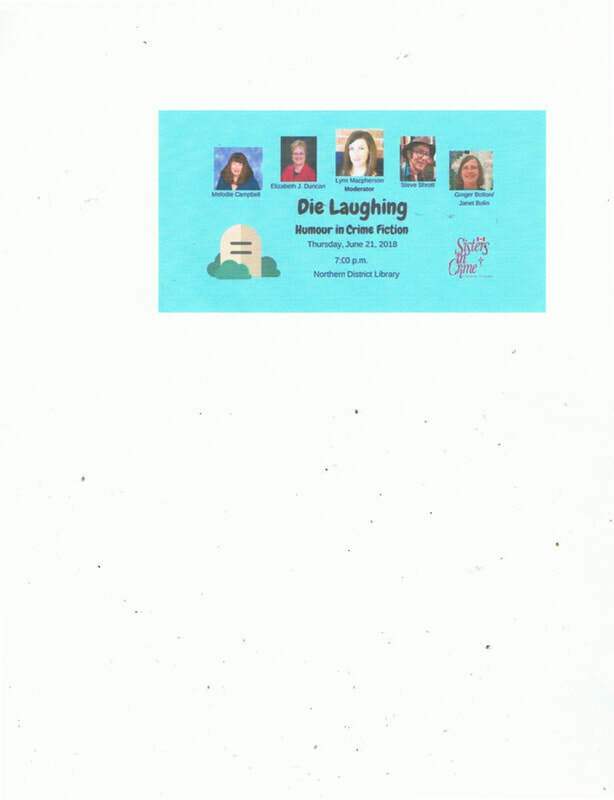 I will be at the Burlington Public Library for a Humor Writer's Panel. Hilarious Comedy writers Peter McGarvey, Melodie Campbell, Viga Boland, and myself will discuss the art of writing humor and comedy, and read from our latest books. I'm sure it'll be loads of fun! It will take place seven to nine at the Burlington Public library. I am teaching my online course on Writing a Page Turning Novel at Savvy Authors. Sharon Crawford wrote a very nice blog about our experience at the Gerrard/Ashdale Library. It's got pictures of us all. I'm, of course, wearing my traditional Fedora that always excites the ladies! Sharon A. Crawford, myself, and Lisa de Nikolitis write novels while Mark Eddy and Nate Hendley are true crime authors. The fun begins at 6:30 in the Gerrard/Ashdale branch of the Toronto Public library. Hope to see you there! Had a great time at the Gerrard/Ashdale library! Wonderful crowd and very helpful staff!! 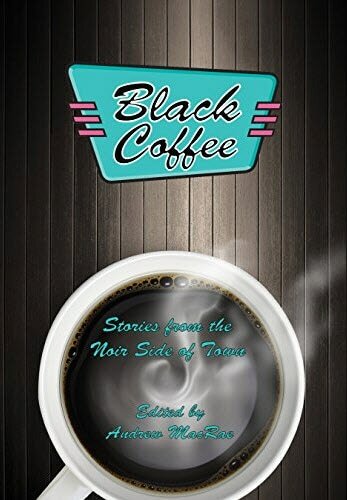 I've just been informed that I have a short story in a new anthology entitled, Black Coffee. The title comes from a Peggy Lee song of the same name. If you know Peggy Lee, you know her songs were mostly dark. The anthology will reflect that tone. It's all noir! There's some really terrific and well-known mystery writers involved in this one so I'm sure it's going to wonderful. I believe it will be published in May. Looking forward to it! I have a flash fiction story entitled, The Plan, running in BJ Bourg's Flash Bang Mysteries ezine. I'm thrilled to be included with so many other terrific writers. Louisa Lo, and Rosemary McCracken. We will all be talking about how we broke into writing mystery. If you ever had any ambitions about writing mystery, or just want to hear our stories, you should definitely come. You can ask any questions you'd like. The time is 7 o'clock. The location is Room 224 at the Toronto Public Library, Northern District Branch, 40 Orchard View Blvd (just a block north of Eglinton subway station on Yonge, or half a block west of Yonge). Once inside the first set of doors, immediately turn right, and take the elevator to the second floor. For non-members the cost is $5.00. Starting around 5:30 p.m. (and a few will likely arrive earlier) some of us will get together for dinner at the HO SU Bistro, 2352 Yonge St. Feel free to join us. It’s just around the corner from the library. The food is Japanese and Korean and the prices are very reasonable. I have a blog on the Savvy Writer's Learning Center today. It's all about learning the secrets of writing from reading novels. Hope you like it! I will be teaching my online workshop entitled, "How to Write a Page Turning Novel." In this two week course, you’ll learn how to write a novel that hooks the reader from beginning to end. Creating ideas that excite the reader. Strategies for making your main character compelling. What we can learn from thrillers. How movies can help us write books that hook. Case studies of top writers whose books are page-turners. Why you must structure your novel, and how you can do it, even if you’re a pantster like me. I will be at my favorite book store--Chapters/Indigo at Bloor and Yonge Street. I'll be signing copies of my books and chatting with everyone. Please join me, should be a blast. Had a great time at Indigo on Saturday. Met a lot of interesting and fun people. It really was a blast! I also have to thank the staff for being super-nice and making it run so smoothly. Thanks everyone!! learn some very useful techniques. Lisa K. "This course changed my life!" made it all so clear." Lisa J. "Wonderful course Steve. I learned so much! I know the approach to take in my novel now." Avenue. (Coxwell and Mortimer) The talk will take place from 7 pm to 8:15. I'll be reading from my books, speaking about my comedy background, as well as discussing how to add humor to stories. any questions you want about 'writing funny' or anything else. However, I will not answer any questions about my relationship with Jennifer Aniston. It'll be a lot of fun and educational! Hope to see you there!! Had a lot of fun at the Walter Stewart Library. Thanks West End Writer's Group! Red Rocket Cafe reading. I, along with several other writers will read from our works and answer any questions. Had a great time at the Red Rocket. Great questions and coffee. Bloor Gladstone Libary. Several writers will be talking about our books and doing readings. Very nice evening at the BG library. Great conversation about writing! Thanks Lisa, had a terrific time! une 8th/2015Today, I am hosting Lisa K's Monday Mystery Mashup. There are five scrambled titles of mystery books. 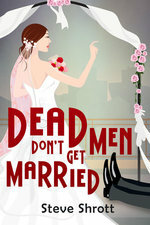 If you can unscramble them, (and you live in the U.S.) you willwin a free copy of Dead Men Don't Get Married (The 'feel good' book of the year.) http://lisaksbookthoughts.blogspot.ca/Thanks Lisa, had a terrific time!